During service in World War I, the American destroyer USS Jacob Jones was torpedoed and sunk off the Scilly Islands, England on Dec. 6, 1917. Out of the 110 men who were aboard the ship that day, 64 lost their lives. The Jacob Jones was the first U.S. destroyer ever to be lost to enemy action. This year marks the 100th anniversary of its sinking. The ship was named in honor of Commodore Jacob Jones (1768–1850) of Smyrna, Del., an American hero of the War of 1812. In 1814, the Delaware legislature commissioned the English-born, American artist Thomas Sully (1783–1872) to paint portraits of Jones and another Delaware hero of the War of 1812, Commodore Thomas Macdonough, for display in the House of Representatives chamber of The Old State House. The paintings still hang in that location. The Delaware Division of Historical and Cultural Affairs has bid farewell to its long-time Business Administration supervisor Cherie Dodge Biron who left the agency to accept the position of controller of the new Delaware Department of Human Resources which was created in July 2017 in response to Gov. John Carney’s Action Plan for Delaware. Dodge Biron began her full time, 21-year career with the division’s State Historic Preservation Office in July 1996 as an administrative specialist. Over time, she advanced in the agency until 2007 when she was appointed supervisor of the Business Administration Team which provides a fiscal and administrative support-network that is the foundation for all of the division’s activities. On Nov. 17, 2017, Dodge Biron’s colleagues celebrated her career at the division with a farewell gathering at the agency’s main office at 21 The Green in Dover. Cherie Dodge Biron accepting a card from Division of Historical and Cultural Affairs Director Tim Slavin during her farewell gathering on Nov. 17, 2017. “Give me liberty, or give me death!” was the defining phrase of America’s push for independence. Revolution, liberty and political rights are themes that have frequently been portrayed in art and have been the banner for many great artistic creations. Denis Alexandre Volozan was well aware of the power of the visual arts to arouse patriotic emotions and was happy to oblige when he was commissioned in the year 1800 to paint one of the first post-mortem portraits of George Washington. Volozan was born in Lyon, France in 1765 and studied at the Ecole des Beaux-Arts in Paris before ultimately making his way to Philadelphia in 1799 where he lived, respectively at 209 S. Second St. and 109 Spruce St., in an environment filled with artists and intellectuals including many recent arrivals from war-ravaged Europe. As a 34-year-old artist and teacher working in the capital of the newly independent United States, Volozan lived in a world that was roiling with revolutionary and patriotic fervor. On Nov. 9, 1799, Napoleon Bonaparte engineered a coup and became First Consul of the Republic thus bringing to a close the republican phase of the French Revolution. The American Revolution had ended in 1783 and the Haitian Revolution was still in full swing. Circa 1800, Volozan painted a heroic portrait in ink and wash of Toussaint L’Ouverture on his horse Bel-Argent. L’Ouverture was the most noted leader of the Haitian Revolution which eventually led to the world’s first independent country founded by former slaves. Volozan depicted L’Ouverture riding on a white horse charging into battle in the same way that George Washington and Napoleon had been portrayed by other renowned artists. The white horse was symbolic of the ideals of good and right. On Dec. 14, 1799, George Washington died at the age of 67. Subsequently, during the opening session of the Delaware Senate on Jan. 10, 1800, Sen. John Vining introduced a resolution, which was seconded by Sen. Isaac Grantham and unanimously adopted that “in commemoration of the afflicting event an elegant and full portrait, large as the life, with suitable devices and suitable motto, bearing the resemblance of this first of heroes and greatest of men, be produced at the expense of the State, as soon as it conveniently can be done.” Shortly thereafter, Volozan was commissioned to paint the portrait of Washington which he completed in 1802. Portrait of George Washington by Denis A. Volozan, oil on canvas, 1802, The Old State House, Dover, Del. The portrait was officially dedicated on Jan. 19, 1803 and hung in Delaware’s State House. After undergoing its seventh restoration in 2007, it was returned to The Old State House and re-hung over the speaker’s desk in the Senate chamber where it remains to this day reminding us of revolution, liberty and political rights. The Delaware Division of Historical and Cultural Affairs will be sponsoring 17 special events, including eight winter-holiday-themed activities, between Nov. 25, 2017 and Dec. 23, 2017. A full schedule is included below. Except where otherwise indicated, all programs are free and open to the public. The John Dickinson Plantation will be offering four “Handmade for the Holidays” programs during the 2017 winter-holiday season. “Handmade for the Holidays.” Seasonal program in which visitors can create a sachet with herbs and spices. John Dickinson Plantation, 340 Kitts Hummock Road, Dover. Program 11 a.m.–3 p.m. Museum open 10 a.m.–4:30 p.m. 302-739-3277. “Hospitality Night—Victorian Yule-Tide Celebration.” Holiday-themed program in which the museum will be decorated for the season by the Sussex Gardeners including luminarias lighting the entrance walkway. Activities will include historical interpreters, demonstrations, music and seasonal refreshments. Presented in partnership with the Lewes Chamber of Commerce. 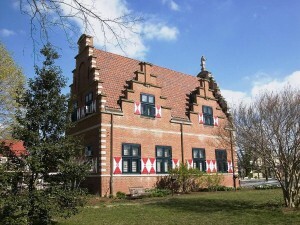 Zwaanendael Museum, 102 Kings Highway, Lewes. 5–8 p.m. 302-645-1148. Concert by the Honey Badgers. Folk music duo. Presented in partnership with the Delaware Friends of Folk and the First State Heritage Park. The Old State House, 25 The Green, Dover. 7:30 p.m. 302-744-5054. “Delaware’s State Constitution.” Guided tours explore the Delaware State Constitution of 1792 which changed the Delaware State to the State of Delaware. First Saturday in the First State program. The Old State House, 25 The Green, Dover. 9 a.m.–4:30 p.m. 302-744-5054. 2017 Holiday Open House at Woodburn: The Governor’s Residence. The home of Delaware’s governor will be decorated for the holidays and open for guided tours. 10 a.m.–2 p.m. Woodburn: The Governor’s Residence, 151 Kings Highway S.W., Dover. 302-739-5656. “Tour Zwaanendael Museum.” Enjoy the museum’s festive holiday-décor created by the Sussex Gardeners. Event held in conjunction with the Lewes Historical Society’s Christmas Tour of Lewes. Zwaanendael Museum, 102 Kings Highway, Lewes. 10 a.m.–4 p.m. 302-645-1148. “Johnson Victrola Museum’s 50th Anniversary Celebration: A Country Tale.” Program, “Play That Old-Time Country Music,” explores Victor Records’ early recordings of country music, accompanied by 78-rpm records played on authentic Victor Talking Machines. Part of a series celebrating the museum’s creation in 1967. First Saturday in the First State program. Johnson Victrola Museum, 375 S. New St., Dover. Programs at 11 a.m. and 2:30 p.m. in the museum’s 2nd floor gallery (entry via staircase; no elevator). Museum open 9 a.m.–4:30 p.m. Free admission but, due to space restrictions, reservations are required for the programs by calling 302-739-3262. “Handmade for the Holidays.” Seasonal program in which visitors can design a tile for the holidays. John Dickinson Plantation, 340 Kitts Hummock Road, Dover. Program 11 a.m.–3 p.m. Museum open 10 a.m.–4:30 p.m. 302-739-3277. 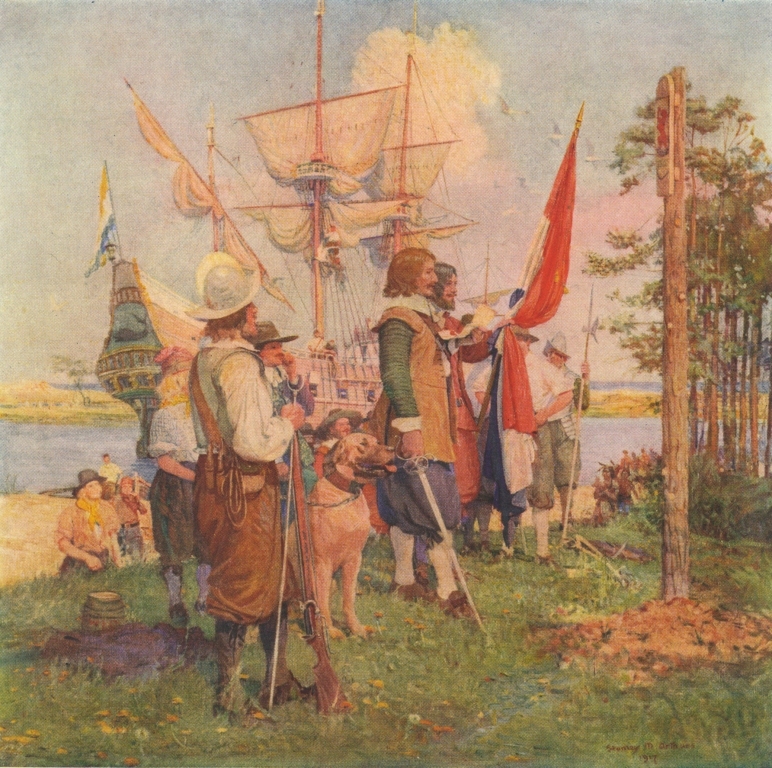 “Fully, Freely and Entirely— Becoming the First State.” Historical theater production based on Delaware Day, the date when Delaware became the first state to ratify the United States Constitution on Dec. 7, 1787. Sponsored by the First State Heritage Park and presented in the candlelit Old State House. Ticket-holders will meet at the John Bell House, 43 The Green, Dover. 5:30 and 7:30 p.m. Admission $10. Pre-registration is required and spaces are limited. 302-739-9194. CANCELLED: “Fully, Freely and Entirely— Becoming the First State.” Historical theater production based on Delaware Day, the date when Delaware became the first state to ratify the United States Constitution on Dec. 7, 1787. Sponsored by the First State Heritage Park and presented in the candlelit Old State House. Ticket-holders will meet at the John Bell House, 43 The Green, Dover. 5:30 and 7:30 p.m. Admission $10. Pre-registration is required and spaces are limited. 302-739-9194. NOTE: Due to inclement weather, these two performances have been cancelled. POSTPONED: Delaware Day awards ceremony. Event honors participants in the Delaware Department of State’s 16th annual Delaware Day Fourth Grade Competition which challenges students to create displays that help illustrate and explain the U.S. Constitution and the role played by Delawareans in the writing and ratification of the nation’s founding document. Delaware Public Archives, 121 Martin Luther King Jr. Blvd., Dover. 10 a.m. Free admission. 302-744-5000. NOTE: Due to inclement weather, this event has been postponed. Rescheduled date TBA. CANCELLED: Buena Vista Holiday Open House. One-day-only event featuring self-guided tours of one of Delaware’s most historic homes decorated for the holidays plus crafts and other activities for children and adults, refreshments and a book drive hosted by the University of Delaware Pi Beta Phi sorority. Guests are encouraged to bring books to benefit local schools through Read>Lead>Achieve! Buena Vista: A Delaware Country Estate , 661 S. Dupont Highway (Route 13), New Castle. 10 a.m.–2 p.m. Free admission. 302-323-4430. NOTE: Due to inclement weather, this event has been cancelled. “Spirit of Christmas in New Castle.” One of the best preserved Colonial-era towns in America will feature tours of historic homes bedecked in holiday decorations, activities at museums including the New Castle Court House Museum, crafts, musical entertainment, caroling, shopping, tree lighting and more. Downtown New Castle. 9:30 a.m.–5:30 p.m. 302-328-3279. CANCELLED: “A Dead Whale or a Stove Boat, Part Two.” Lecture by historic-site interpreter Andrew Lyter on the glory days of the American whaling industry (1783–1861). Part of “Global to Local: International Events and the First State,” a series exploring how world events impacted Delaware’s history. Zwaanendael Museum, 102 Kings Highway, Lewes. Dec. 9, 2017 program cancelled and incorporated into March 24, 2018 program. “Johnson Victrola Museum’s 50th Anniversary Celebration.” Activities include music, merriment and refreshments on the 50th anniversary of the museum which opened to the public on Dec. 14, 1967. Johnson Victrola Museum, 375 S. New St., Dover. Celebration from 1–3 p.m. Museum open 9 a.m.–4:30 p.m. 302-739-3262. “Handmade for the Holidays.” Seasonal program in which visitors can create a gift tag with paper quilling. John Dickinson Plantation, 340 Kitts Hummock Road, Dover. Program 11 a.m.–3 p.m. Museum open 10 a.m.–4:30 p.m. 302-739-3277. “Handmade for the Holidays.” Seasonal program in which visitors can design a holiday card with stencils. John Dickinson Plantation, 340 Kitts Hummock Road, Dover. Program 11 a.m.–3 p.m. Museum open 10 a.m.–4:30 p.m. 302-739-3277. Christmas Eve. All museums of the State of Delaware (the John Dickinson Plantation, the Johnson Victrola Museum, the New Castle Court House Museum, The Old State House and the Zwaanendael Museum) will be closed. 302-744-5054. Christmas Day. All museums of the State of Delaware (the John Dickinson Plantation, the Johnson Victrola Museum, the New Castle Court House Museum, The Old State House and the Zwaanendael Museum) will be closed. 302-744-5054. New Year’s Eve. All museums of the State of Delaware (the John Dickinson Plantation, the Johnson Victrola Museum, the New Castle Court House Museum, The Old State House and the Zwaanendael Museum) will be closed. 302-744-5054. During its Oct. 18, 2017 annual meeting, the Delaware State Review Board for Historic Preservation presented certificates recognizing five properties and one historic district that were listed in the National Register of Historic Places during 2017. The National Register is the U.S. government’s official list of districts, sites, buildings, structures and objects deemed worthy of preservation at the local, state or national level. Street scene in the Downtown Wilmington Commercial Historic District that was added to the National Register of Historic Places in 2017. In the autumn of 1767, the American Colonies were reeling from a fresh round of taxation without representation handed down by Parliament in London. With their pleas for fair treatment and equal standing ignored by the Crown, the leading men of the fledgling Colonial opposition began to turn their thoughts to more direct acts of resistance. But before the Boston Tea Party, before the First Continental Congress and well before July 4, 1776, the Colonies needed a message to bring them together—a clear text that would lay out their common cause and draw them even closer in unity. Through the winter of 1768, that unifying message took shape in a series of 12 modest letters published in Colonial newspapers and signed simply “a Farmer.” The man behind the pseudonym would earn the title of “Penman of the Revolution,” a well-educated lawyer with Quaker beliefs raised on a quiet plantation in Kent County, Del.—John Dickinson. Dickinson and his “Letters From a Farmer in Pennsylvania to the Inhabitants of the British Colonies” (referring to Delaware’s status as a jurisdiction of Pennsylvania at the time) became a sensation across the Colonies, and abroad in Britain and France, for their simple, eloquent summary of the rights held by the American colonists and the many ways those rights had been infringed. To commemorate the 250th anniversary of the publication of the “Letters” and the role John Dickinson played in setting the stage for the American Revolution, the Delaware Department of State has launched a new online exhibit, “Letters From a Farmer in Pennsylvania,” and a slate of special programming to take place over the coming months. The online exhibit hosts biographical information about Dickinson and context framing the “Letters” in their historical moment. Assembled in cooperation with the Division of Historical and Cultural Affairs, the site will serve as a hub for activities to celebrate the anniversary. The site’s calendar of events lists programming taking place now through February in cooperation with the division, the University of Delaware Library, the Delaware Public Archives, the Friends of the John Dickinson Mansion and others. Programs on the schedule include a dramatic production of “The Great Debate: Thomas Jefferson and John Dickinson” about the political and philosophical differences between the two statesmen; a presentation by retired Delaware Supreme Court justice and eminent historian Randy J. Holland on the writings of Dickinson and their significance; and a panel discussion featuring Gov. John Carney about the legacy of the “Letters” and their impact on American politics through the present. Events at the John Dickinson Plantation will explore how life was lived on a large farm in 18th-century Delaware, including a presentation on the history of the African-American inhabitants of the plantation, both free and enslaved, and Dickinson’s complicated relationship with the institution of slavery. The season of programming will conclude in February with a traditional wreath-laying ceremony at Dickinson’s gravesite at the Wilmington Friends Meetinghouse, sponsored by the Quaker Hill Historic Preservation Foundation and the Friends of the John Dickinson Mansion. The Zwaanendael Museum, located at 102 Kings Highway in Lewes, Del., will celebrate Dutch-American Heritage Day on Saturday, Nov. 18, 2017, from 10 a.m. to 4:30 p.m., with a series of Dutch-inspired activities that will be both educational and entertaining for every member of the family. “Landing of the DeVries Colony at Swaanendael, Lewes, Delaware 1631” by Stanley M. Arthurs. Courtesy of the permanent collection of the University of Delaware. Delaware’s Dutch heritage will be explored in Dutch-American Heritage Day programs on Nov. 18, 2017. Activities will include Dutch crafts, historical information and, at 2 p.m., “An Overview of the Environmental History of the Delmarva Peninsula,” a lecture by historic-site interpreter Alan Roth. Admission to all activities is free and open to the public. Note: The environmental-history lecture will be held on the museum’s 2nd floor (entry via staircase; no elevator). Admission is free but, due to space restrictions, reservations for the lecture are required by calling 302-645-1148 no later than Nov. 17, 2017. Dutch-American Heritage Day commemorates Nov. 16, 1776, the day when the American warship Andrew Doria sailed into the harbor of the Dutch island of St. Eustatius in the West Indies. Only four months before, the United States had declared its independence from Great Britain. The American crew was delighted when the governor of the island, Johannes de Graaf, ordered that his fort’s cannons be fired in a friendly salute. This salute, the first ever given by a foreign power to the flag of the United States, was a risky and courageous act. The British, angered by Dutch trade and contraband with the rebellious colonies, seized St. Eustatius a few years later. De Graaf’s welcoming “First Salute” was a sign of respect that continues to symbolize the deep ties of friendship that exist between the United States and the Netherlands.